New technology at the ore-briquetting plant in Zapolyarny could be good news for the fragile taiga forest. But does Nornickel tell the full story? “An upgrade of the Company’s concentrator capacities in the Kola Peninsula, replacing outdated roasting plant with a hot briquetting facility, has resulted in the 22,8% reduction of sulphur dioxide emissions at Kola operation in 2016,” Nornickel proudly announces in a press-release about its 2016 sustainable development results. Nornickel’s subsidiary on the Kola Peninsula, Kola Mining and Metallurgical Company (Kola MMC), operates factories in Nikel, Zapolyarny and Monchegorsk and is the largest private-owned industrial group in the Murmansk region. It is also infamous for being the largest air-polluter in the Barents Region. On the Kola Peninsula, the main achievement in 2016 was new technology for production of nickel-briquetting. “We built an ore-briquetting shop in Zapolyarny, reducing sulphur dioxide emissions from 42,000 tonnes to 1,400 tonnes per year,” Nornickel brags in another press release after signing an agreement on environmental protection with regional authorities in Murmansk earlier this year. 42,000 tonnes is a considerable amount of SO2. In comparison, Norway’s total emission of sulphur dioxide is three times less; 14,475 tonnes the Norwegian Environment Agency’s 2016 report reads. Reduction in sulphur dioxide emission comes because the contained sulphur in the ore is with the new briquetting technology no longer burnt out and discharged into the atmosphere at the plant in Zapolyarny. Instead, the sulphur stays in the roasted ore when it becomes pellets. But, when that pellets are smelted at Kola GMK’s factory in Nikel, the sulphur will be emitted as sulphur dioxide there instead. Nikel is located even closer to the Norwegian border. Nornickel’s public relation department has not replayed to questions sent by the Barents Observer about figures for the emission from the plant in Nikel. Neither does the company specify emission figures from Nikel in its environmental report. 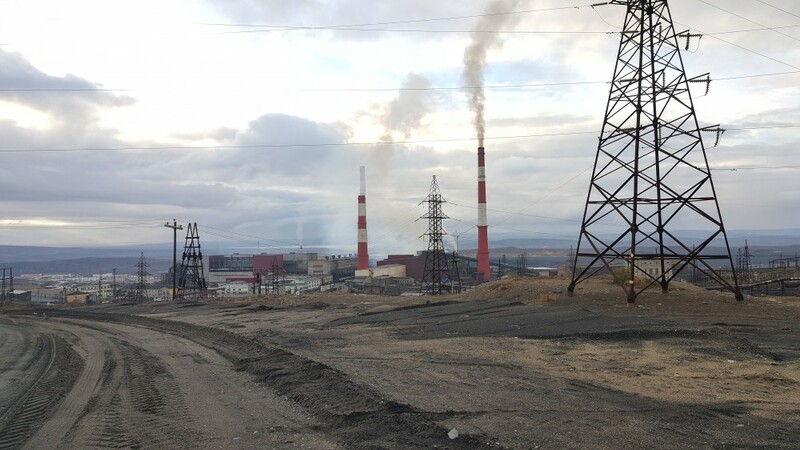 The Ministry of Natural Resources and Ecology of the Murmansk Region, however, writes in its annual report for 2016 that pollution in the atmosphere from the plant in Nikel increased in 2016 compared with 2015. Air-pollution in Zapolyarny decreased at the same time. The Ministry’s figures say the total emission from Zapolyarny and Nikel in 2016 was 88,100 tonnes. The Ministry’s 2015 report says the emission from the two plants was 127,100 tonnes. That gives a 39,000 tonnes reduction for the two factories combined, nearly the same as Nornickel says in its press release. The reports, though, do not give an answer to where the sulphure is gone. 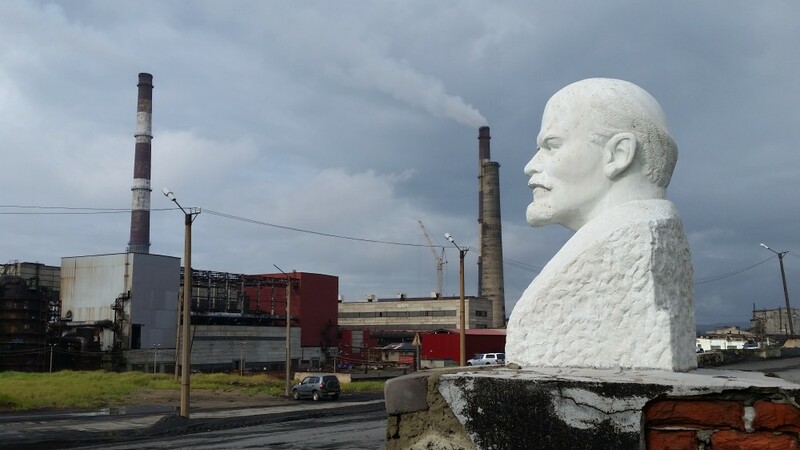 Andrey Zolotkov, former head of the regional environmental group Bellona Murmansk, says to the Barents Observer that Nornickel’s pollution figures are confusing. “In 2016, a significant portion of sulphur dioxide emission was moved from Zapolyarny to Nikel, but it is impossible to talk about this as fait accompli and a long-term fact because modernization continues, also in Nikel,” Zolotkov says. He is concerned about the increased air-pollution in Nikel and points to data showing 31 times during 2016 when the maximum permitted concentration of sulphur dioxide in the air were exceeded by 10 times or more. Nornickel’s Vice President, Elena Bezdenezhnykha, says in the press-release environmental focus is core for the company. “Environmental issues have always been our primary focus. Even before the principle of best available technology was introduced into the Environmental Protection Law, environmental requirements has been laid down in the Nornickel development strategy,” Bezhnezhnykha tells. Pollution from the nickel plant in Nikel was once again on the agenda in Norwegian-Russian inter-governmental talks in Oslo in June. Nornickel representatives said emissions will be reduced by 30 percent by the end of 2019, Barents Observer reported. But the Norwegians remain skeptic. “We are concerned,” said Norwegian Minister of Climate and Environment Vidar Helgesen. “Every year, we see excessive levels of sulphur dioxide on the Norwegian side because of the continuous emissions from Nikel”, he added. Cross-border air-pollution from the plants in Nikel and Zapolyarny has been on the Norwegian-Russian agenda since 1989.